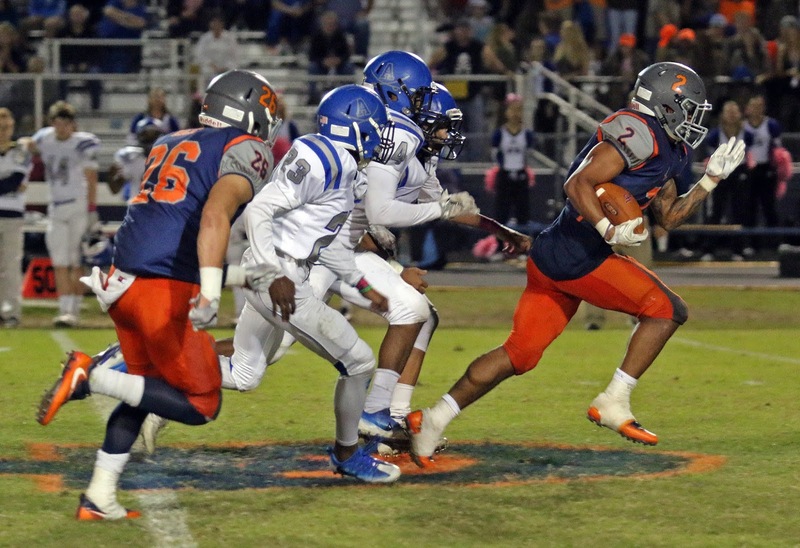 Nathan Evans, who helped lead the Lee-Davis football team back to the postseason in 2015 and again in 2016 while being named Second Team All-State his senior season by the Virginia High School League, was shot and killed in Norfolk on Thursday night according to both The Daily Press and WAVY-TV. Evans, a rising junior at the College of William and Mary, was shot on West 43rd Street in Norfolk, not far from the Old Dominion University campus. Police, according to WAVY-TV, responded to a report of a shooting at 11:50pm. Authorities found Evans on the sidewalk with a gunshot wound. UPDATE (3/26/19): WAVY-TV reports that an arrest has been made in the Evans case. Norfolk police have brought into custody Kri-Shawn D. Beamon, age 20, and have charged Beamon with second-degree murder. Norfolk police issued this statement earlier on Tuesday. "A Chesapeake man has been arrested on charges stemming from a shooting on West 43rd Street that killed a Williamsburg man last week. Kri'Shawn D. Beamon, 20, of the 3500 block of Coleshill Lane in Chesapeake, has been charged with second-degree murder, robbery, and two counts of using a firearm in the commission of a felony. Beamon was arrested Monday afternoon at his residence without incident. Detectives are investigating this as an isolated incident and have not released the motive or circumstance surrounding this shooting. Beamon is currently being held in the Norfolk City Jail without bond." Hundreds of students gathered Monday evening at Kaplan Arena on the William & Mary campus to remember Evans. 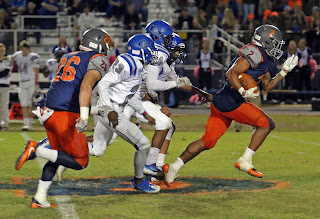 Evans (#2, right in picture from Lee-Davis career) led the Tribe in rushing as a freshman in 2017, rushing for 208 yards in his sophomore campaign last season, scoring three total touchdowns. "The Lee-Davis High School football program is deeply saddened by the loss of our former teammate, Nathan Evans," said Lee-Davis head football coach Ryan Turnage in a statement released by Hanover County Public Schools. "Our thoughts and prayers are with his family. Nathan was a tremendous player and a great teammate, and I was proud to be his coach. Nathan had a huge impact on the success of our football program. He was a special player that loved to compete,, and his teammates looked up to him." More information as we receive. We are praying for Evans' family, friends, Tribe teammates and, of course, the entire Lee-Davis community.